What’s The Oldest Magic Trick? People have always loved being dazzled by sleight of hand, and magicians have always been around to satisfy the masses who need entertaining. 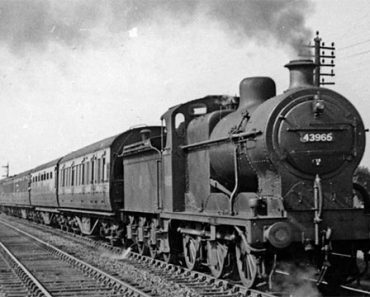 But exactly how far back has magic been around, and what’s the oldest magic trick of them all? Theories vary, but many historians believe that hieroglyphic paintings from a burial chamber in Egypt may depict the earliest known magic trick. The pictograph, which has been dated back to 2500 BCE, may depict two men demonstrating the popular “cups and balls” magic trick, and could be the oldest evidence of magicians performing for a crowd. The cups and balls trick is still popular today, especially among young magicians who are just learning the trade. The trick includes three balls and three cups; the magician is supposed to make it appear as though the balls are magically jumping from cup to cup and vanishing and appearing at will. It involves some of magic’s most basic tricks and skills, like disappearances, misdirection, and manual dexterity. 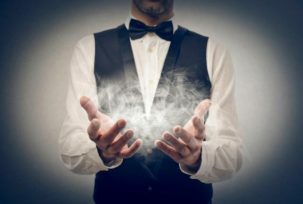 Mastering the cups and balls trick is something of a rite of passage for many magicians, and means they have achieved a level of ability that separates them from lesser magicians. However, some people say that despite the cups and balls trick’s indisputably long history, the pictographs on the Egyptian wall don’t actually depict that trick at all. Detractors point to the fact that the image only shows the cups and not the balls; furthermore, the cups and balls trick is traditionally a solo act yet the drawing shows two people holding the cups. There’s almost no record of the cups and balls trick being popularly performed by a duo. Furthermore, when taken in context with the entirety of the drawing, it doesn’t seem logical that the figures would be performing magic. Everyone around the figures are preparing a meal; perhaps the men aren’t magicians with cups at all, but bakers preparing bread to go with the rest of the meal. In 45 CE, the cups and balls make another, more certifiable appearance in the annals of history: a Roman writer referenced the cups and balls in this year, which puts the cups and balls still in the running for the oldest magic trick. In terms of prop tricks, the oldest recorded instance of a prop being used to trick the crowd is a record of the lota bowl trick being performed around 3000 BCE. The lota bowl trick involves creating the illusion of a self-filling bowl that never runs empty. 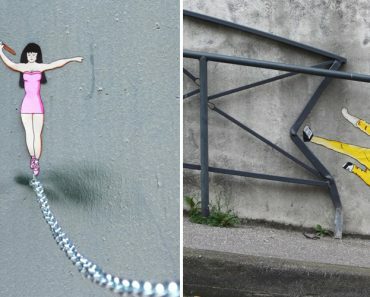 Fabulous Street Art that will make you AWESTRUCK! 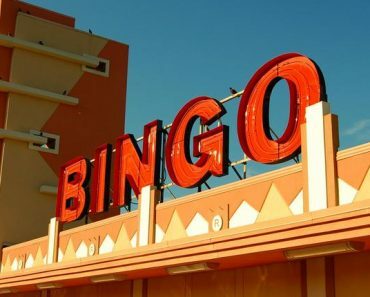 What Are The Origins of Bingo?